Hello World! I'm a game developer who enjoys creating awesome games and just plain hacking. Let's start scrolling and learn more about me. Recognize that background? It's Conway's Game of Life! Hi there, I'm Chad! A pragmatic programmer passionate about my craft: Game Development. I've worked as a full stack developer focused on scaling game services, a gameplay engineer designing and building new features, and an engine/tools programmer implementing and optimizing core systems. As you can see, I like to wear lots of hats, but I'm most interested in building game engine systems and tools. 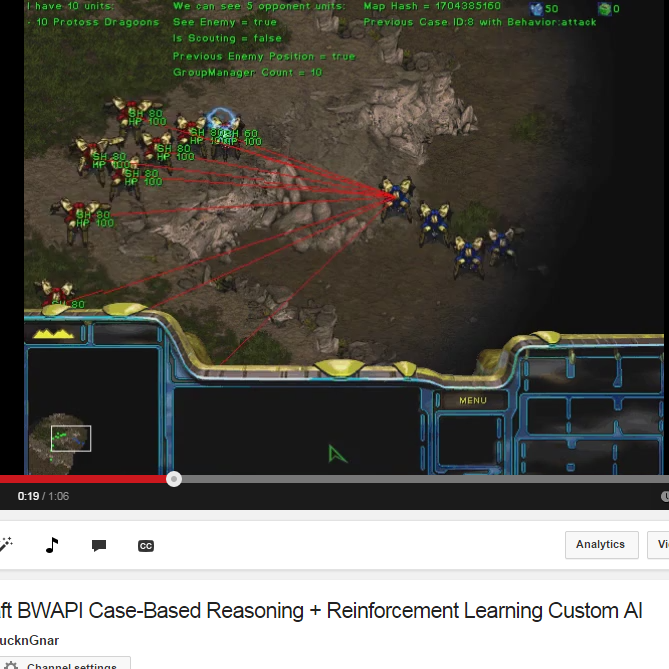 I've done research in the field of Artificial Intelligence focusing on Case-Based Reasoning and Reinforcement Learning. That work has been published and presented at the 2010 International Conference for Case-Based Reasoning and continues to be built upon today. 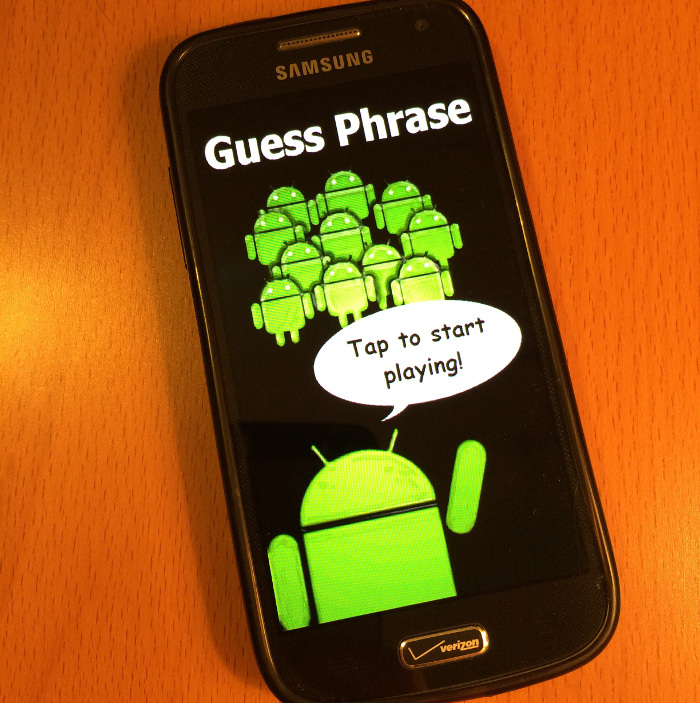 2010 also marks the release of my first public indie game Guess Phrase on the Android Marketplace (horrible programmer art and all). Since then I have continued to make games both professionally and in my spare time. I hack to learn, practice, create, and simply make things work. When I am not sitting in front of a keyboard I am mountain biking. In 2014 I started racing ending the season as a beginner winning the overall California Enduro Series. Since then, I've continued to challenge myself both physically and mentally racing various gravity and endurance race formats. I am happily employed as a Sr. Engine & Tools Engineer at Super Evil Megacorp and not actively pursuing any new opportunities at this time, but please feel free to keep in touch! Mentored new employees and lead junior developer game feature pods ensuring successful first deliverables. Conducted technical engineering interviews playing a major role in team staffing decisions and company scaling. One of three engineers to take Game of War from prototyping, to pre-production, production, and finally ship on two mobile platforms. Significant code contributions and ownership of over 20 game features and core systems in Game of War providing a high quality project codebase to build from. Designed and implemented a templated Entity Component System fundamentally changing our engine and game systems by decoupling data and logic. The outcome was much more cohesive engine services and cleaner game logic. Implemented a novel pool allocator interface leveraging weakly-linked unique pointers for engine-level component systems improving engine performance by reducing runtime allocations. Implemented and optimized core game engine texture atlasing/packing (runtime), sprite batching, and 2d animation systems. Implemented Spriter (boned sprites) runtime with full support shader and particle emitter attachment support allowing artists and designers to create really complex animation effects easily. Implemented device accelerometer systems with shader support for 3d UI effects and more. Built a debug command line interface for in game debugging and on the fly modifications/hot loading massively speeding up design, engineering, and QA iterations. As a spare time project, I designed and implemented an automated Doxygen code generation builder with web access working with existing build systems. Built a scalable, multi-title, server authoritative casino system including 7 mini games with full tool suite as a massive first deliverable. Designed and implemented the company’s first multi-title tutorial system complete with plug-able metrics support and tooling allowing designers to engage more players. Rebuilt core project bootstrapping and structure to facilitate rapid prototyping and quickly generate new projects without the need of engineering support. Designed and implemented multi-title player gifting features with support tools. Optimized entire game test suite runtime by 75% significantly speeding up automated build processes and developer productivity. 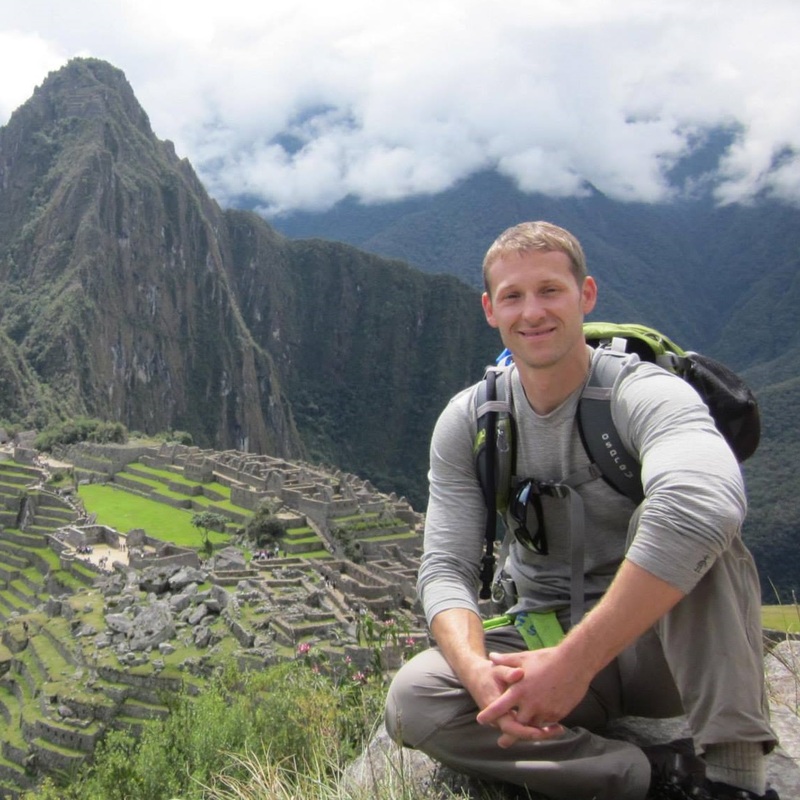 Lead developer on a 10 year old ASP .NET ecommerce website port. Performed all necessary feature updates and deprecated API corrections effectively bringing the site up to 2010 standards. Maintained a large code base of 3D rendering services supporting complete automation of flash video files from raw model data with validation using a fully integrated audit process. Built new features and updated critical checkout/purchasing systems for the company’s core ecommerce site which provides the majority of revenue while keeping downtime to an absolute bare-minimum. Responsible for the design, coding, testing, and integration of new system services for a distributed SOA-based tool used for the acquisition and verification of communications in a military operating system. Maintained and refactored key system services and components producing a more stable code base, higher rates of product efficiency, and happier customers/users. Operated in an agile environment collaborating with multiple development teams keeping a strong focus on key features resulting in the development of highly disciplined cross-team APIs. Performed regular design, code, and test review sessions with team members which supported high code standards producing an extend-able and maintainable code base. Acted as a software developer on a team of nine developers for a first-release developer tool deliverable. Responsible for the design, code, testing, and deployment of two major services in a scalable Service Oriented Architecture middleware operating environment. Designed, implemented, and tested a customer-facing user interface for an enterprise environment developer tool. Created and maintained developer-facing APIs for several mission-critical tools and services which ultimately enabled the team to be more productive and avoid milestone crunches. Imparted an emphasis on quality UML standard design documentation and test-driven design methodologies keeping the team organized and synchronized resulting in a successful final product. Online Micro-Level Decision Making in Real-Time Strategy Games: A Case-Based Reasoning and Reinforcement Learning Approach. Mowery, Chad., Spencer, Nathan., Bichendaritz, Isabelle. "Online Micro-Level Decision Making in Real-Time Strategy Games: A Case-Based Reasoning and Reinforcement Learning Approach." ICCBR Workshops, July 2010. 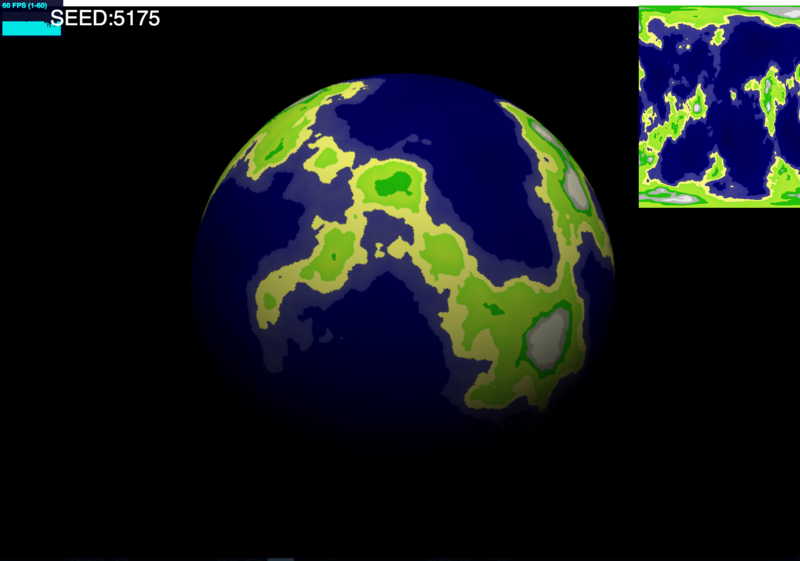 This project was nominated and presented at the 2010 International Conference for Case-Based Reasoning (ICCBR) in Italy and presents a novel approach to online adaptability of AI in RTS games. The specialization of artificial intelligence (AI) techniques within the gaming industry is becoming a fast growing field of study for academia and industry developers alike. Many of the AI techniques used in modern video games are unique to a gaming problem domain as game developers often face the challenge of implementing their game AI with limited resources (game frames, memory, and processor cycles), more so than traditional AI projects and studies. However, due to the technological advancement of modern video game consoles and PCs, previous AI techniques used in industry are quickly becoming outdated and uninteresting to players. In this paper we outline a complete AI system that utilizes Case-based Reasoning and Reinforcement Learning components to provide new levels of player immersion. By utilizing real-time learning with Case-based Reasoning we can give a new outlook on games artificial intelligence as challenging and adaptive opponents for players. This work addresses the limits of effective learning during online game play and suggests that the amount of learning needs to be carefully moderated using case generalization techniques as the amount of learning that is performed during play is shown to be inversely proportional to the overall problem solving efficiency in imperfect information game domains. A casual game based on the original Catch Phrase. It mixes elements of charades, taboo and hot-potato all into one game where each team must get their teammates to guess a word or phrase correctly without using any part of the word in a sentence or saying the word outright. 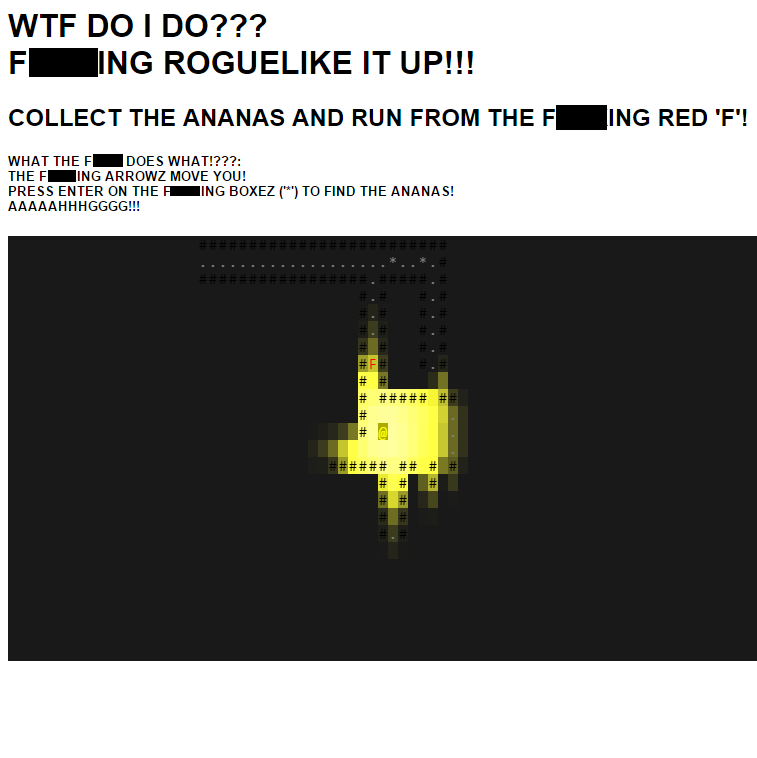 It's a mini Roguelike about the word F*** and ananas! Meant to be a total spoof on a few friends 'artistic' game designs. 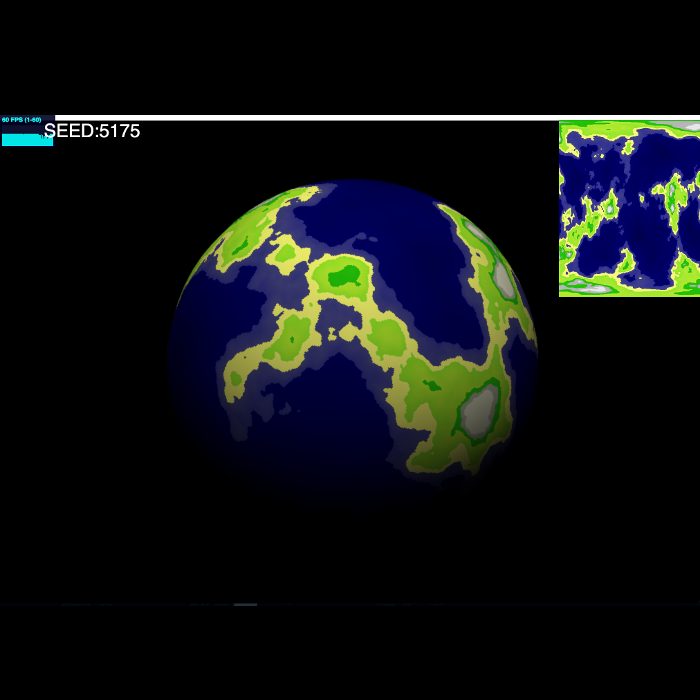 Built using Rotjs. An artificial intelligence project featuring a custom Case-Based Reasoning (CBR) module used for micro-level decision making operations. The CBR module's task is a challenging one. That is, to successfully observe new problems in it's environment and place them into "schemas" which are then used to categorize a problem/solution "case." As our AI plays games against opponents, it's ability to reason about problems and their solutions should (and do) become more and more defined effectively creating a game AI that adapts and learns while playing games of Starcraft. It is important to point out that the CBR module is designed to operate in a non-perfect information environment meaning that our AI only knows as much about it's game environment (or problem domain) as it can "see." Events that happen in the AI's "fog of war" go on un-observed. This CBR module is coupled with a Reinforcement Learning component and allows for "live learning" during gameplay as well as "offline" learning after matches. It enables the dynamic adjustment (weighting) of cases and solutions and the exploration/generation of entirely new case solutions to occur which is quite rare in most game CBR implementations. Each module is written in C++. This project has been nominated and presented at the 2010 ICCBR conference in Italy. 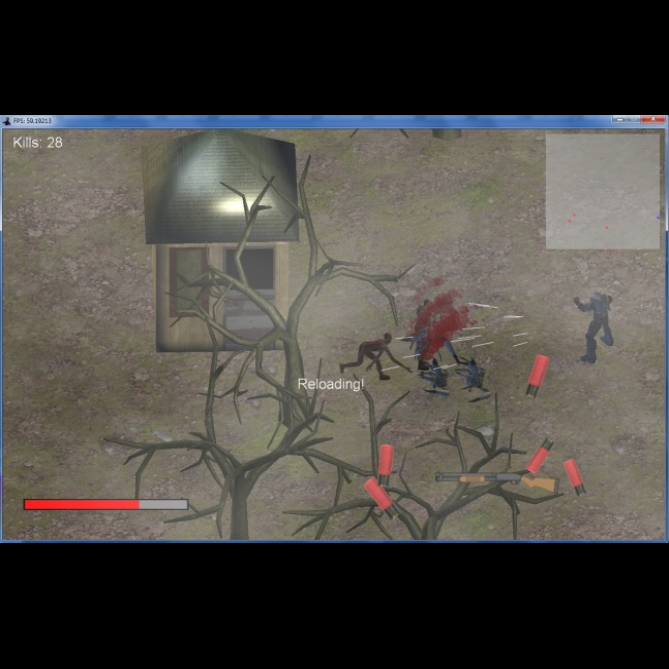 A 3D PC/Xbox 360 arcade style zombie survival game prototype where the player must fight off hordes of zombies and other nasty creatures racking up a large kill count and score. There is no end game, so the player is continually challenged with larger numbers of increasingly difficult enemies. Zombies! features 4 unique weapons including shotguns and flame throwers to combat 4 distinct enemy types--old school slow zombies, new school fast zombies, explosive suicide zombies, and hard to hit spider zombies. Zombies! uses a game engine built entirely from scratch and required a focus on multiplatform development, reusable game engine designs, 3D graphics, and AI programming. It's an addicting game prototype with a lot of potential and was developed in less than 3 months with a team of 4 for a class project. Written in C# leveraging the Microsoft XNA framework. 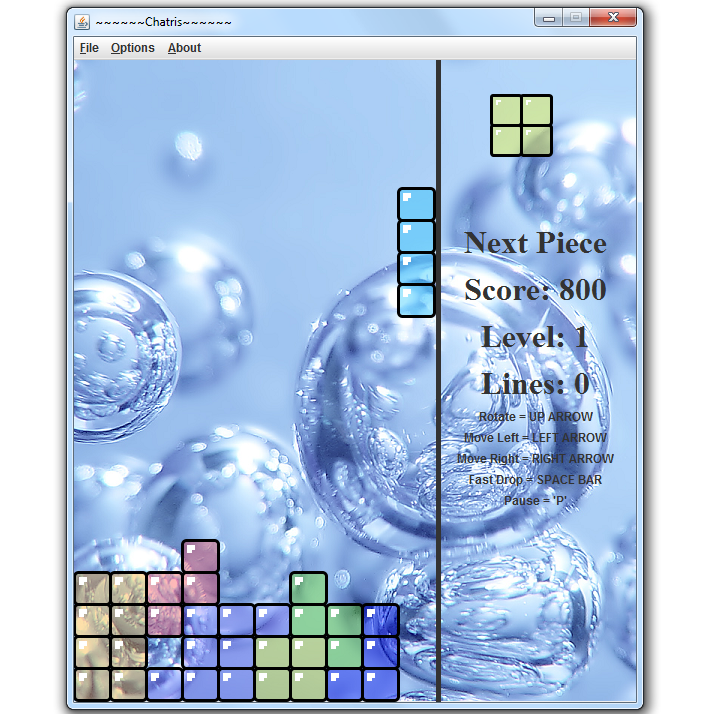 My vision of a Tetris clone featuring more challenging than normal gameplay (each level gets progressively harder--much more than most clones and the original). It features a water/surfing theme of my design. Other than that, this is your standard game of Tetris. This project was such an important experience as it allowed me to design and code my first decently sized game from the ground up using practical test-driven design methodologies. It was also my first experience designing game-specific user interfaces. Written in Java. A playful website dedicated to the funny things my dear friend Mitch says. 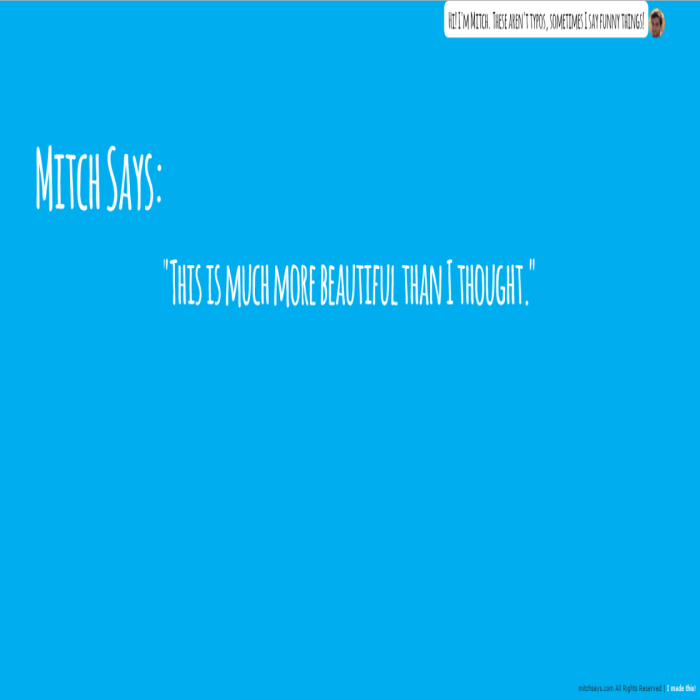 Displays random un-edited quotes from Mitch with fancy text animations. Mitch, thanks for all the laughs and don't ever change! 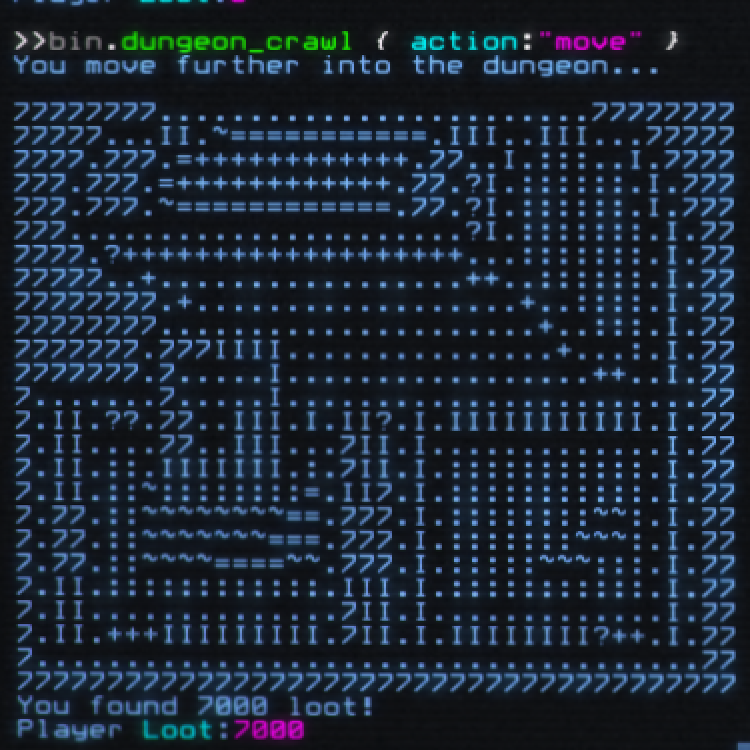 A dungeon crawler rogue-like I made inside of Hackmud. It's fully featured with monsters, traps, items, loot(! 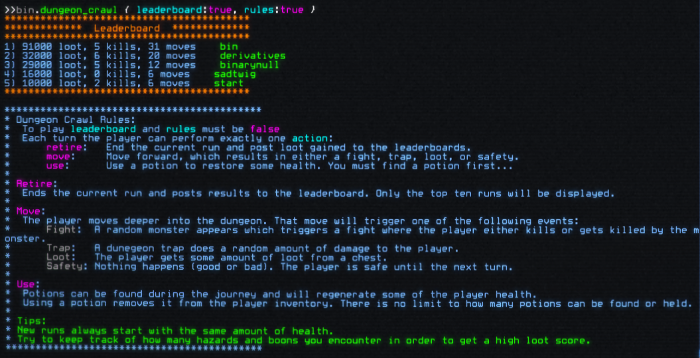 ), leaderboards, and sweet ascii art! Thank you Mario! But our princess is in another castle. Questions, comments, or cool projects? Drop me a message, but please keep in mind I am not currently persuing any new opportunities at this time.